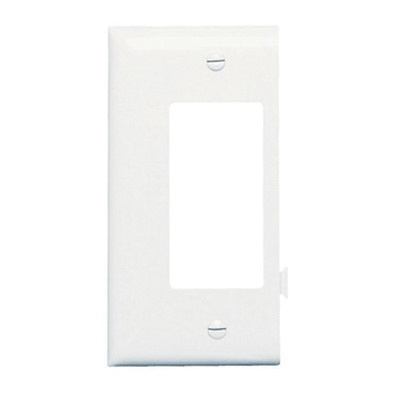 Pass & Seymour Semi-jumbo size GFCI surge sectional wallplate in white color, features rugged nylon construction with smooth finish. Screw mountable wallplate has one decorator configuration. It is suitable for commercial, industrial and residential purpose. Sectional wallplate is UL listed, CSA certified and RoHS compliant.